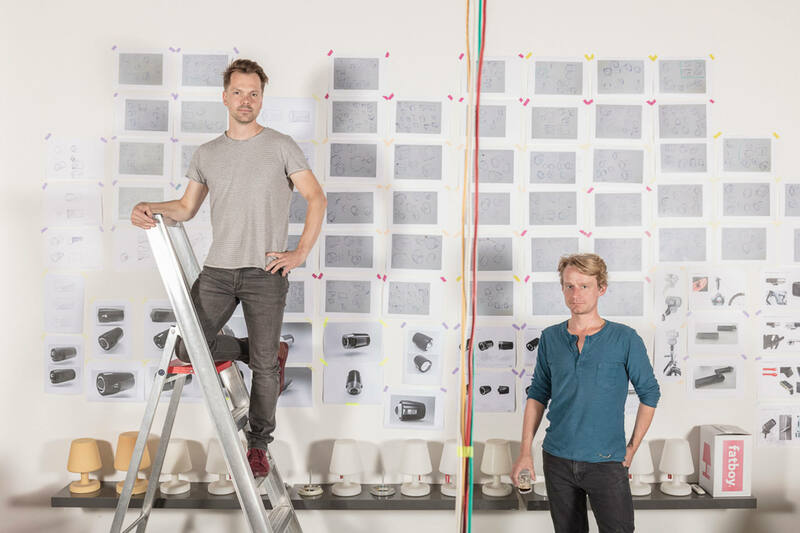 StudioKees is a Dutch Industrial Design Studio founded in 2009 by Odin Visser and Jaap Huijgen. Our expertise in Design and Engineering is infused with a vast dose of curiosity and persistence. We strive to strip away the clutter and reach a level of Advanced Minimalism, both functionally as aesthetically. We believe minimalism needs a certain degree of leading-edge solutions to prevent boredom and become interesting and relevant. Our main focus is consumer products for daily use, which varies from Bike Lighting to Wine Preserving Carafes and from Wall luminaires to Laundry racks. A good solution starts with defining the essential questions. So we analyse and ask questions before we start giving answers. We believe the right question should be answered with a simple solution, yet enticing to be heard. Next to that we are practical guys from the University of Technology Delft. We love to create stuff, because experiencing is believing! After building prototypes, testing is key. Dare to take it into the real world makes you learn so much more than when you stay behind your desk. Our shared design experience of roughly 20 years gives us the confidence to make mistakes, learn and get better. Next to our own expertises, we have a large network of external complementary specialists and suppliers, which enables us to offer a full spectrum of solutions. we make it clean and effective but still interesting, advanced minimalistic.